Luke and Ebony&#39;s Guest Bedroom gets redone. 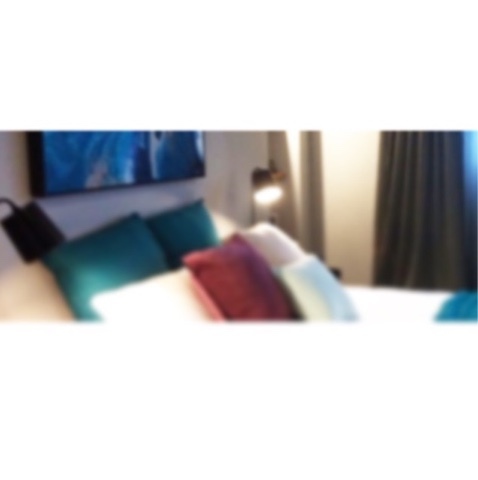 Luke and Ebony have teased a blurry shot of their redone guest bedroom. Last night Luke and Ebony's room came last against the so far undefeated Dean and Shay. Their pressed tin feature was labelled by Neale 'Uptight' and by Shelley 'tacky'. Those words influenced their decision to get rid of it in he redone version. A non-blurry version of the room will be revealed in weeks to come.